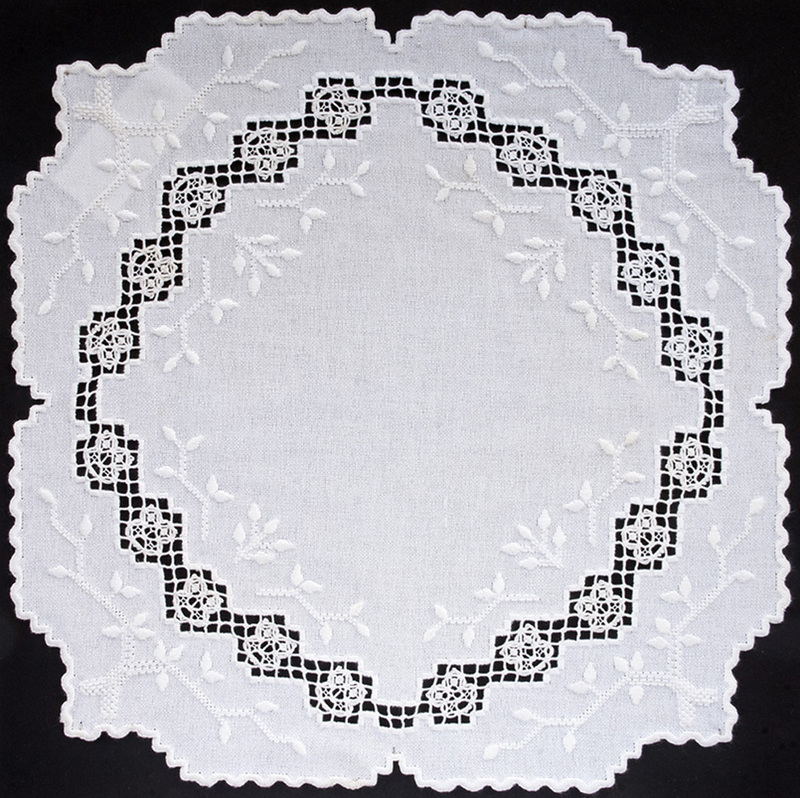 The Needlework Guild of Minnesota holds a retreat each August, with a theme and an icon. The 2016 retreat’s theme is ‘Share the Wisdom’ and its icon is an owl. I decided to design an owl for the retreat. Since my passion is Hardanger embroidery, it of course had to be in Hardanger. After reviewing owls in clip-art and doodling on graph paper, I drew an owl that I could interpret into Hardanger needleweaving. The owls came first, then the border, and finally the tree was designed to fill in too much white space. I gave the instructions for the needlewoven owl to the retreat co-chairs, who published it in the guild’s newsletter. It will be fun to see how many needlewoven owls appear on name badges at retreat.